Cristina Parreño Architecture with MIT have created Paper Chandeliers, an installation for the Art Fair ARCO in Madrid. 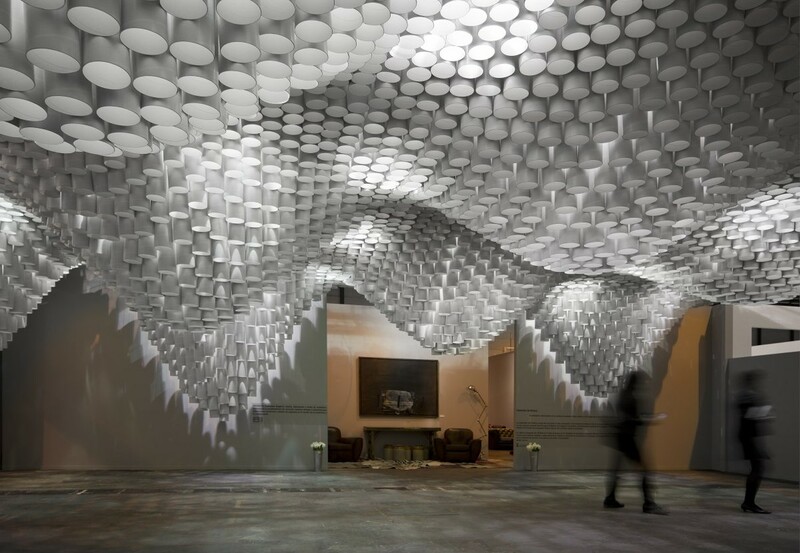 Paper Chandeliers is a big undulating roof made out of paper tubes that articulates the spatial environment mediating between the art installation and the architectural project. Cristina Parreño’s Paper Chandeliers was selected to be built for the yearly International Art Fair ARCO Madrid 2013.